Place the spam filter letters ADS at the front of the subject line. Love your site. It's a great place to find photographic fields of interest. I'm always looking for information on new objects to shoot. WOW! Your website is absolutely incredible! Where do you guys come up with all this stuff? Have you thought of doing a book or magazine on Observing Challenges? 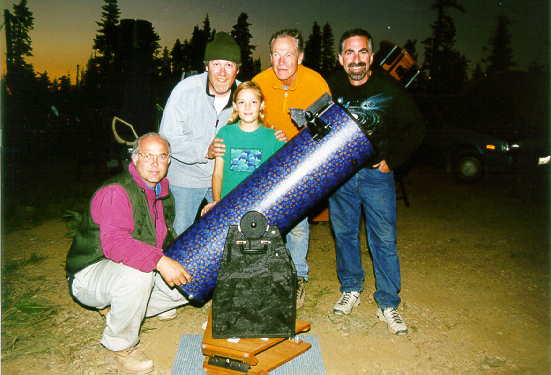 Some of these articles first appeared in the monthly bulletin of the San Francisco Amateur Astronomers, the publications of the Webb Society and the AmAstro mailing list. Finder charts were produced on Megastar with RealSky. Megastar is available from Willman-Bell, Inc. RealSky is available from the Astronomical Society of the Pacific. Other images are from the Hubble Space Telescope (HST), NASA and the Digital Sky Survey (DSS). You can download your own DSS images, courtesy of the Space Telescope Science Institute. Accurate identifications, coordinates, and other useful data can be obtained through the NGC/IC Project, SIMBAD and the NASA/IPAC Extragalactic Database (NED. Do astronomy research online at the NASA Astrophysics Data System (ADS).